Greetings my lovelies, I hope you all enjoyed a restful Easter week. I got back to my graphite work. A while back I was driving up the Pali Highway during a particularly rainy day. There were lots of very low lying clouds rushing over the cliff, so I drove to the lookout and took some photos. 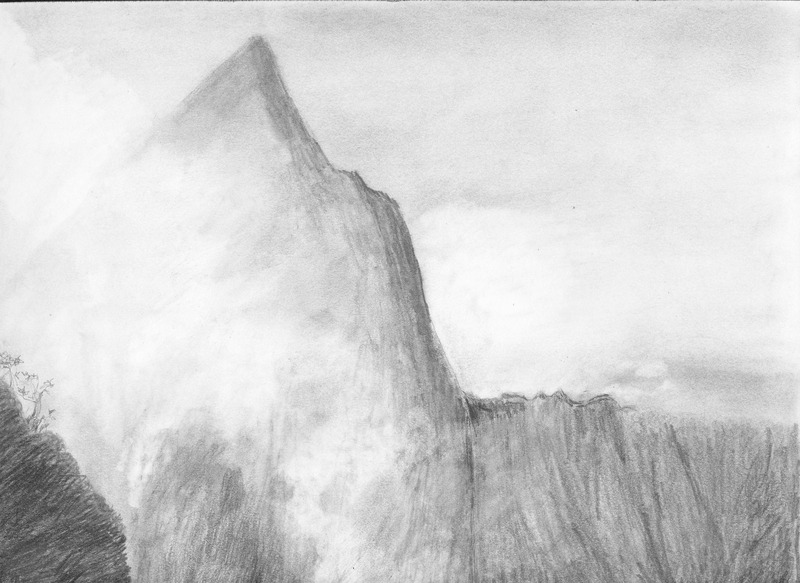 I attempted to capture some of the clouds and mist in this drawing. needs a bit more blending but I like how it is looking. And in keeping with the theme that “it all counts” I wanted to share some of the fun images that I’ve been making on my iPad. 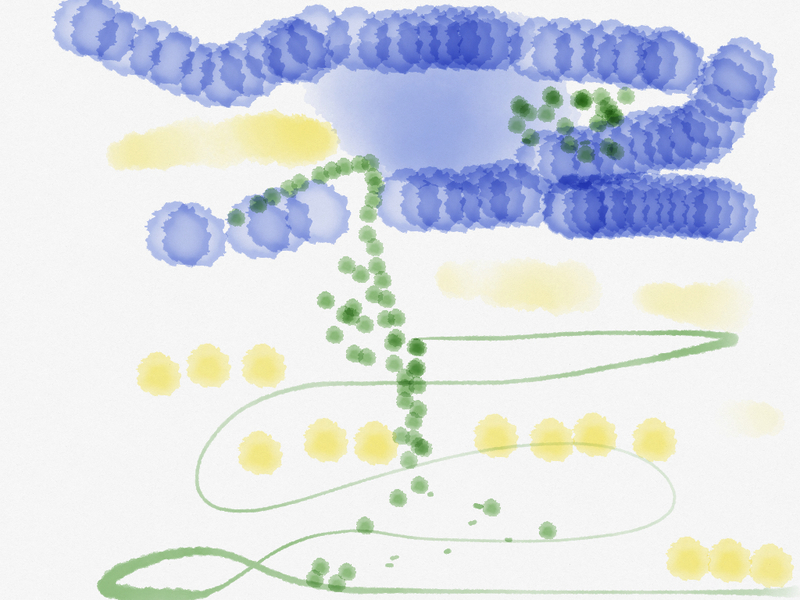 I found a great app called “Sketches” by Tayasui. It’s very elegant and if you’re willing to pay for the “pro” extras you’ll find that it’s incredibly versatile. It’s a bit of a learning curve, but once you get the hang of it, you can get lost in it. Here’s one of my “how does this work” first attempts. 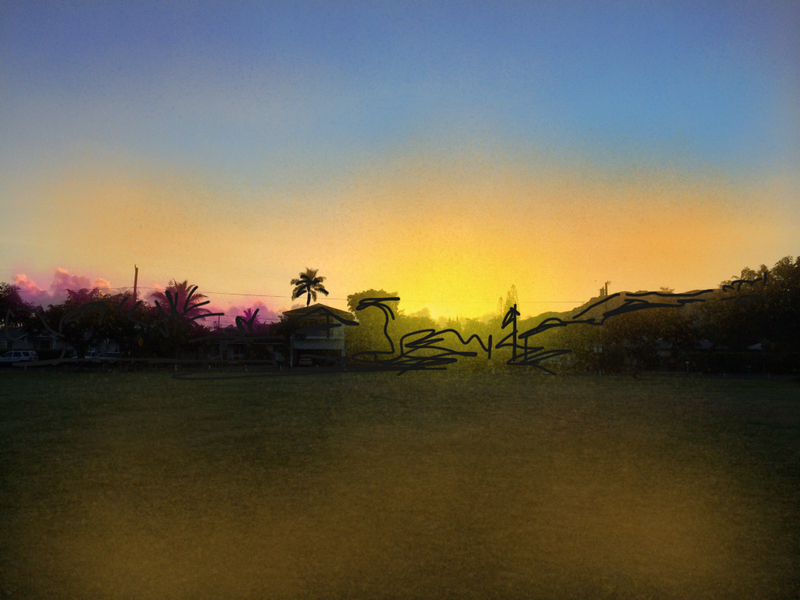 You can import photos and doctor them up, as it allows for at least three layers on top of the photo. 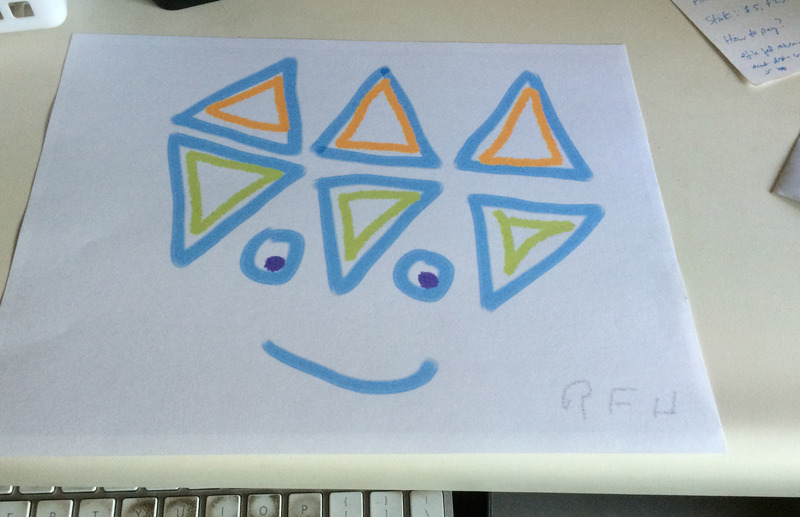 This one I just called “Blue Face” and just for kicks, I wanted to see what it looks like when you print it. Not bad. 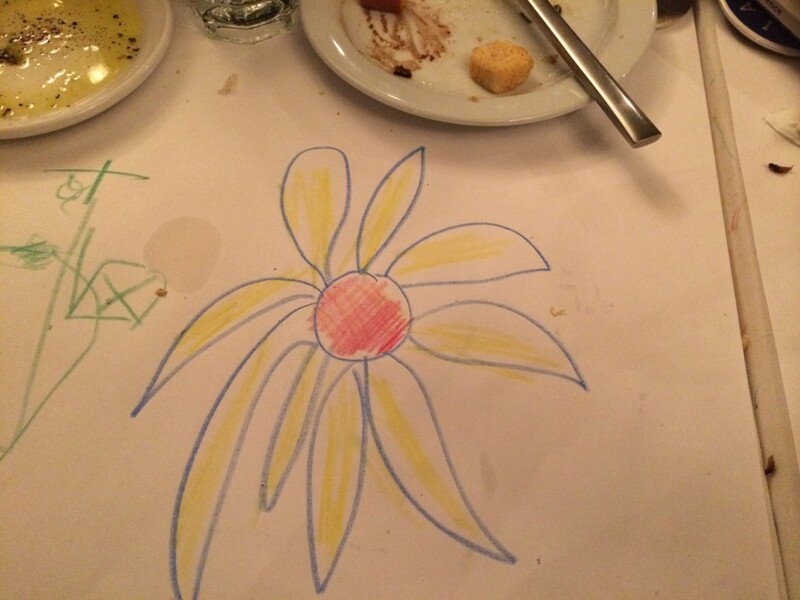 And I went out to dinner with some friends and had to take advantage of the paper table cloth and the crayons. That’s all for this week, thanks for stopping by. I hope you have enjoyed what I’m trying to do, which is practice, practice, practice. You are welcome to use these images in your blogs, all I ask is that you credit them to Rachel Funk Heller and add a link to this site, rachelfunkheller.com I LOVE hearing from you folks and I’m going out on a limb. If you leave a comment, I will enter your name in a drawing. At the end of each month the grand prize winner will win….. Any one (1) drawing from the month’s collection. Really. It’s your pick and I’m happy to share my work with you. Good Luck!